FREE HTM Bluetooth Webinar on 2/19! 1. FREE HTM Bluetooth Webinar on 2/19! Have questions about Bluetooth and how it integrates within various healthcare environments? Get all your questions answered by two of healthcare's experts, Steven Baker and William Saltzstein during this FREE webinar on 2/19 from 2-3pm ET. Description: Bluetooth® wireless technology (Bluetooth) is everywhere today, and is widely used in medical devices in hospital ranging from IT platforms to implanted devices. Bluetooth technology is also brought into the hospital with patients and their visitors in the form of smartphones, headsets, and gaming devices. 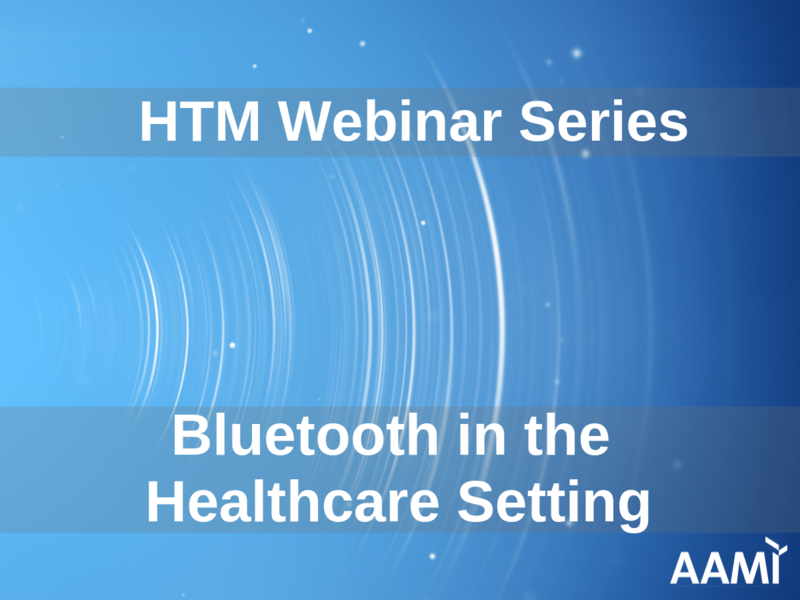 This Webinar provides a high-level overview of the technology and key features of Bluetooth for Health Technology Management (HTM) professionals and technology professionals. Copyright � 2017 AAMI Connect. All rights reserved.